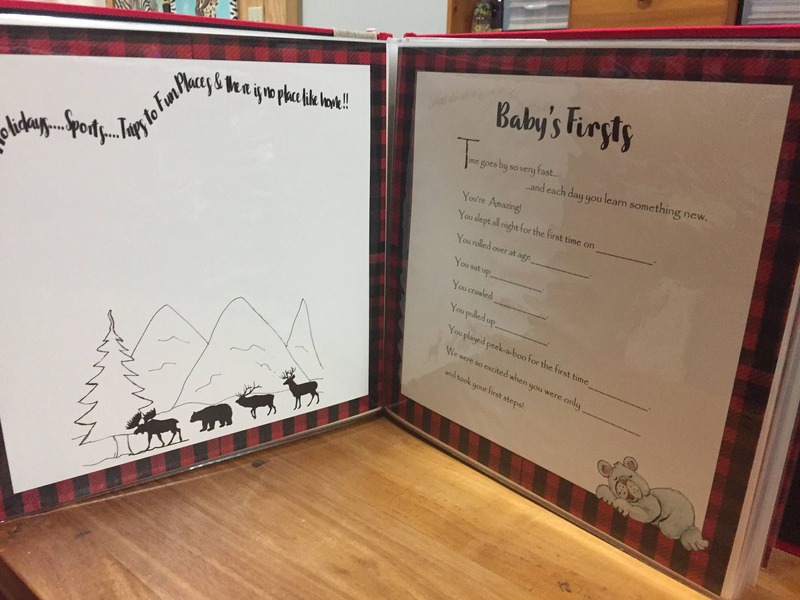 Our Little Lumber Jack Buffalo Plaid Baby Memory Book set of 36 or 64 Pages only. Printed on archival card stock in my art studio upon order. These are not personalized. Including 2 personalized pages for photos and other memories. 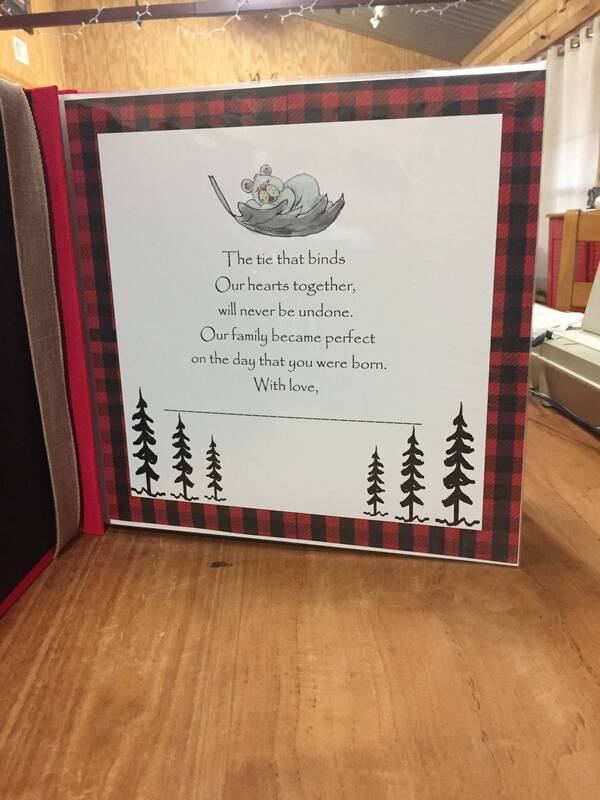 Many of the pages have a red and black buffalo plaid border. Plastic sleeves are not included. The list of pages can be seen below. They include Day of Arrival, Birth Certificate, Family Tree and many more. Colors are red and black. Please contact me to let me know the baby's name to be added to the book through Etsy's contact. You have a choice of either 36 or 64 pages that are inserted into plastic sleeves for many years of safe keeping. Our baby memory books are scrapbook style. This particular baby book size is 12x12 inch. The following are included in the book that has all 64 pages.